This book expands on the previous novella, "Rolling in the Deep," the story of the cruise ship Atargatis on the hunt for "mermaids," found adrift with all hands lost. I read that story three years ago and gave it only two stars because I didn't feel all its themes meshed. I'm happy to report this book is much better. At its heart, of course, this is still a horror novel, which means there is lots of blood, gore (and in this case, slime) and casualties. You know, or you should know, going into a horror novel, that many of the characters are going to die. A superior horror novel takes the time to invest in its characters, making them real people instead of faceless redshirts standing in line to be offed. Mira Grant does exactly this, and does it very well. All of the viewpoint characters presented in this book are given backgrounds and motivations, even if they're only present for one scene. Some people may object to this, saying it makes the book drag...but it's all part of her careful, necessary setup. When all hell finally does break loose, the reader (or at least this reader) cares whether these people live or die. Another advantage this book has over the earlier novella is the room to explore the science. The science of the "mermaids" presented in this book is fascinating. It's well-researched and convincingly presented, at least to this layperson. The sheer love of science also shines through, when the necropsy of what turns out to be a sentient being is just as absorbing, and suspenseful, as what happens when the "mermaids" attack. Up till now, my favorite Mira Grant book has been her excellent Feed. I think that might still be true, but this one is definitely nipping at its heels. 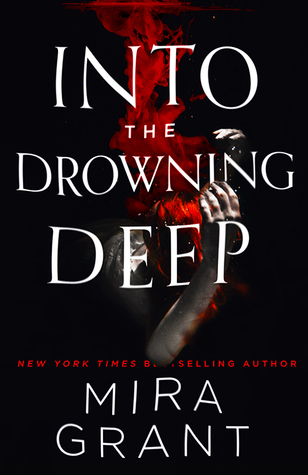 Sign into Goodreads to see if any of your friends have read Into the Drowning Deep.